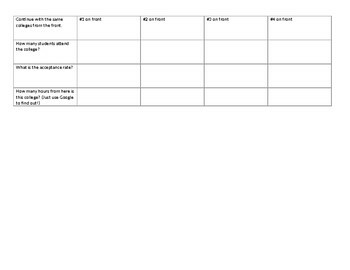 With this chart, students will be able to compare many aspects of potential colleges. They will compare important information such as tuition and room and board, but also the size of the campus and the campus setting. 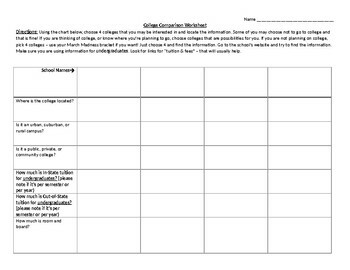 This sheet is designed for students to be able to do a quick comparison between colleges that they are considering, but also to help them learn to navigate college websites for information that can be used to make a decision.